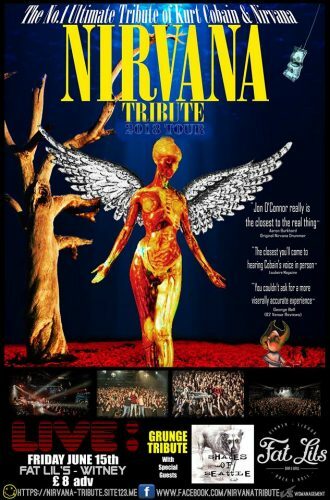 Fats Lil’s in Witney will see the return of Nirvana Tribute on June 15th. Tickets available soon. We are excited to announce that nirvana tribute will be supported by “SHADES OF SEATTLE” who will play some of the greatest songs to come out of Seattle!